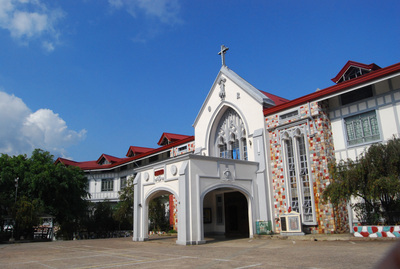 Casiciaco Recoletos Seminary (CaReS), formerly known as the Seminario Mayor–Recoletos, is the formation house of the Aspirants and Postulants of the Order of Augustinian Recollects–Province of St. Ezekiel Moreno (Philippines). It is dedicated to the Senior High School and Philosophical Studies of the formands as part of their ecclesiastical formation. Take That Leap of Faith: Be an Augustinian Recollect!